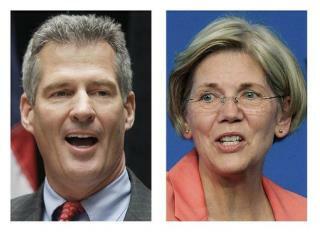 (Newser) – Elizabeth Warren and Scott Brown pledged to run a civil race in Massachusetts, and they've kept it remarkably free of negative attacks. Until now. Politico says Warren felt heavy pressure from Democratic leaders, including Chuck Schumer, to start hitting harder, leading to this week's ad calling out the GOP incumbent as a lackey of "big corporations." His campaign responded with an ad of its own accusing her of telling lies about him. What a lying sack of crap! Oh, wait, I think that's her actual 'Native American' name! Simply ask her how much the Koch brothers contribute to ger campaign.